It is not just diplomacy but local politics in both countries that will play a bigger role in the times to come. Against the background of high hopes being generated at Sheikh Hasina Wajed’s weekend visit to India, her first bilateral sojourn in seven years, some serious questions must be raised about the future of India-Bangladesh relationship. 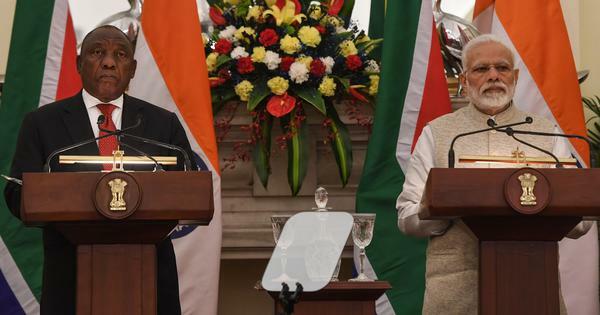 Just as elections do not necessarily indicate the health of a democracy, good bilateral relations seemingly reflected in memorandums of understanding do not by themselves ensure their durability. President Donald Trump, for instance, has cancelled several international agreements that his predecessor had signed. In South Asia, where domestic politics plays so much of a role in foreign policy, such possibilities are even more. At present the contrast between the polities of India and Bangladesh is glaring. While Bangladesh is systematically shedding its Islamist credentials, India is treading into a Hindu nationalistic mode at the cost of its secular ethos. The question is not as to how India would behave in the changed circumstances. The question is how Bangladesh would. Two decades ago, Samuel Huntington famously theorised about what he termed as “the clash of civilisations”. Though critically dissected then more as a concept, increasingly it might seem that he was on to something. Religion has made a comeback in politics and world’s two greatest democracies, America and India, are probably leading the way, with Donald Trump and Narendra Modi leading them. It would be naïve to think that the Modi phenomenon is a nine days’ wonder or that the impact of the rise of Hindu nationalism would be felt only in India. South Asia is a civilisational space – nothing is local here, particularly the issue of Hindu-Muslim relationship. These communities command the largest presence in the region, with a billion plus Hindus and 450 million plus Muslims. Two things are pertinent to note in this context. One, both communities have a painful memory baggage owing to Partition in which some 22 million of them in almost equal numbers were killed, maimed and displaced, and two, both are dispersed across the region is such a way that they have acquired majority and minority complexes simultaneously. Maintaining societal equilibrium in the entire region, therefore, is imperative. This writer, in his long career in South Asian studies, came across innumerable – indeed, liberal –voices from the region reposing faith in India’s pluralism and secularism. Since India accounts for almost three-fourths of the region’s space, population, Gross Domestic Product, and armed strength, India is expected to put up a fight against retrograde forces. But lamentably the same India is now taking a cue from the rest. 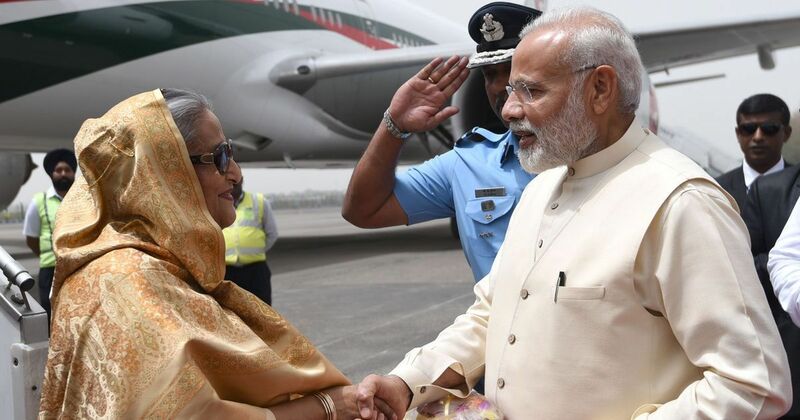 At present India-Bangladesh relations are on even keel largely because Prime Minister Sheikh Hasina Wajed has been able to sideline the Islamists and stands strongly in the way of her country being used as a hideout for India’s north-eastern insurgents. Though an agreement over the sharing of the Teesta water remains problematic, several bilateral irritants like land border and maritime boundary disputes have been solved. Even on the connectivity and energy cooperation issues, significant progress has been registered. But one must not forget that, first, Bangladesh politics is ever explosive, and two, the spectre of China playing its card is ever present. It will be naïve to think that the pro-Islamist forces have been wiped out for good in Bangladesh, though many of their leaders have been hanged or jailed. Stray terrorist incidents do make news but probably that is the easier problem. The real problem is when the pro-Islamic and, therefore, anti-India forces would gang up to dislodge Hasina and along with her, her ideology of secularism. It is most likely that the current trend in Indian politics will embolden these forces to make it extremely difficult for Hasina to win her next election in 2019. The more India’s Hindutva brigade humiliates India’s Muslims, today by making a fuss about love jihad, tomorrow by asking for ghar wapsi, the day after by beating and heckling meat traders on false charges of cow slaughter, the more Bangladesh’s Hindu minority (9%) will bear the brunt, if the events following the felling of the Babri masjid in 1992 are any indication. Particularly worrisome is the probable rise of the Rashtriya Swayamsevak Sangh in West Bengal. If the Uttar Pradesh experiment is repeated there even in a small scale, resulting in Hindu-Muslim riots, thereby destroying the long tradition of communal harmony nurtured by all the governments since independence whether under Congress, Bangla Congress, Left Front or now the Trinamool Congress, this fire is bound to cross over into Bangladesh endangering the Bangladeshi Hindus who are ever conscious of their minority existence. Does the RSS understands this connection? Or, is it cynical enough, calculating that more the Hindus in Bangladesh are in jeopardy, the better its chances to expand its Indian constituency? This brings us to the issue of the Bharatiya Janata Party’s entry into the North East. The recent Citizenship (Amendment) Bill, 2016 that makes it simple to confer Indian citizenship on Bangladeshi Hindus, in contravention of the Assam Accord of 1985, which clearly states that illegal migrants heading in from Bangladesh after March 25, 1971 would be deported, has already stirred a hornet’s nest in Assam besides further imperilling Bangladesh’s Hindu minority, who are ever suspected by the majority there of their dubious loyalty to the nation. Destabilisation of India’s North East is closely linked to the destabilisation of India-Bangladesh relations. 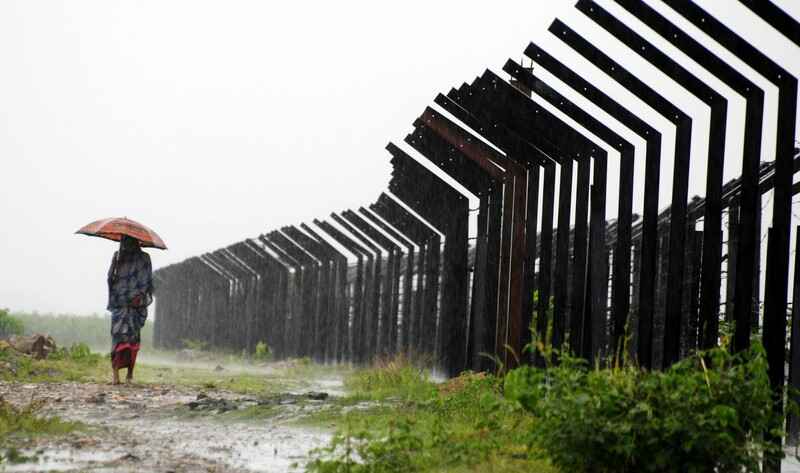 A section of the Indo-Bangladesh border. The all-out efforts by the BJP-RSS to grab political power in Assam by stoking communal passions have worked well electorally. But it is potentially disruptive of peace in the state with a mindboggling mix of ethnicities. At one level, it is Adivasi versus non-Adivasi, at another Hindu-Muslim, Assamese-Bengali, Asamiya Muslim-Miya (East Bengali) Muslim, just to mention a few. Depending on contemporary realities there are alliances and counter-alliances among them. But the most combustible one is the issue of migrations from East Bengal/East Pakistan before 1971 or Bangladesh after that. Since the migrants are both Muslim and Hindu, it gives a communal colour to the question, which BJP wants to cash on. If the Congress is accused of using the Muslim vote bank, the BJP is equally culpable of using the Hindu vote bank. Against the fear of Assamese speakers being outnumbered by Bengali speakers, the issue has created an explosive brew in which Bangladesh will have to be an interested party, whether it wants or not. Communal strife in Assam will put the state’s Muslims at the receiving end. The cycle of action and reaction will have an effect in Bangladesh which would result in the country’s Hindu minority facing the brunt. Politics in South Asia is not local and international relations are not confined to mere governments. In the same context, one need not read too much into the BJP making systematic inroads into India’s North-Eastern region. Depending almost entirely on central financial assistance, no north-eastern state (barring Assam) can afford to earn the displeasure of the Centre. The tendency is to alternate between the Congress and the BJP as past experience has shown. During the Vajpayee days when the Gegong Apang government of Arunachal Pradesh had an alliance with the BJP, Apang had confessed that to this writer in no uncertain terms. To the query as to how he would react to (then) Deputy Prime Minister LK Advani’s statement that by the end of 2003 all the Chakmas and Hajongs living in the state would be granted citizenship, Apang reacted sharply. He cautioned against any such step as it would be incendiary. In the light of the above, therefore, Indian politicians need to realise that the flames of their narrow sectarianism will not remain confined within India’s borders. There is no reason to be complacent that the good relations India has built with Bangladesh would be nurtured by mere diplomacy. In South Asia, it is statesmanship that weighs much more than diplomacy. Each government in India’s neighbourhood is continuously engaged in a fire-fighting mode to ward off the challenges to its stability. And in each case, the forces that are pitted against it are the same obscurantist ones that we are seeing in India. If India’s mass politics continues to be what it is at present, the pro-Islamic forces in Bangladesh could make a comeback coincidentally in the same year that Modi’s BJP will go for its second run for power. Partha S Ghosh is Retired Professor of South Asian Studies at Jawaharlal Nehru University, New Delhi.